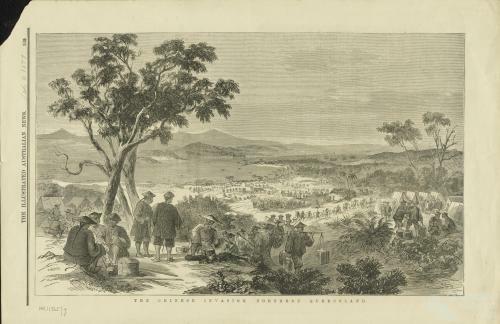 Chinese marching to the Palmer River goldfield. Such images have become imbedded in Queensland folklore, but do not represent the totality of Chinese movement in the nineteenth century. Originally captioned ‘The Chinese invasion, North Queensland’, in the Illustrated Australians News, 2 July 1877. Collection of the National Library of Australia. Collection of the National Library of Australia.